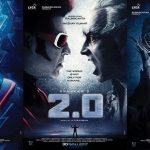 Director Shankar, who has been tight-lipped so far about his action-packed sci-fi Tamil film ENTHIRAN starring superstar Rajinikanth and Bollywood actress Aishwarya Rai, reveals that the movie is almost finished and has lots of surprises in store for the audience. 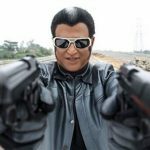 “‘Endhiran’ is almost complete. 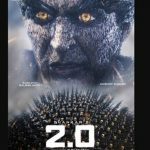 90 percent of the shooting is over,” Shankar wrote on his blog www.directorshankaronline.com. “I have just finished the action sequences of the film ‘Endhiran’ in Pune and Lonawala. both the leading artists of the film were present during the shooting,” he wrote. Shankar has also uploaded some of the stills of the film on his blog. This is said to be the first official release of the stills of the movie. A year ago some pictures taken surreptitiously during the shooting of a song in Peru in South America were released and Shankar had protested, saying it was a pirated work. Shankar launched the blog Jan 1 in a bid to interact with his fans. The other sections of the blog that will update fans about the progress on the film have not been activated yet. 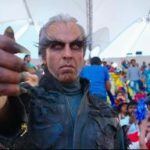 “While (his last blockbuster) ‘Sivaji’ was about black money and corruption, ‘Endhiran’ is about an andro humanoid robot Prem. The first half of ‘Endhiran’ is full of surprises. The second half is a roller coaster ride,” he wrote. The director also promises to share information about the making of his magnum opus “Endhiran”. Being made on a budget of Rs.125 crore, the film has hogged the limelight since it was launched. Sun Pictures is producing it. Shankar, whose “Sivaji” was released on June 15 in 2007, may screen “Endhiran” in April or June this year.